An appropriate time for clear communication. Often perceptions and assumptions create unnecessary problems and challenges – don’t allow bumps in the road to hinder your progress. Take back your power, stand stall, believe in yourself and own your ideas. Great insight provides a solution to a problem, push ahead and don’t give up. Be honest with yourself and those around you. Pay attention to details and don’t lose sight of the bigger picture. 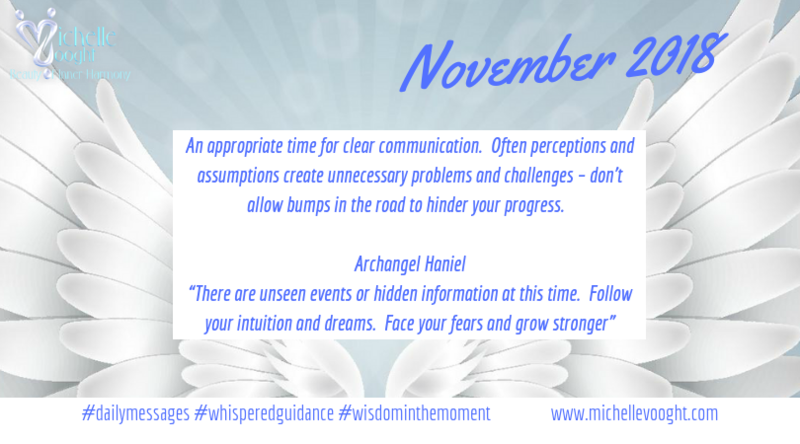 Dear God and Archangel Haniel, heighten my intuitive and psychic abilities during this time that I may see clearly what I need to revise or change. Help me to trust my feelings and act in accordance with the guidance I now receive, through my intuition and dreams. Thank you for showing me the way and for the loving messages, support and guidance from loved Ones. Please shed the light on what I need to face to grow spiritually from here. I trust and so it is. Amen.